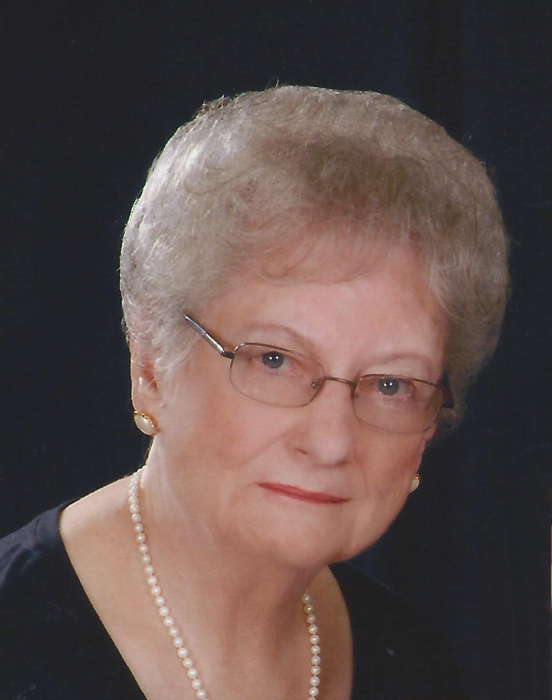 Ferne Karstensen, 88, of Beecher IL passed away Thursday, December 6, 2018 at her home. Ferne was born on April 13, 1930 in Beecher, IL the daughter of John H. and Ruby Storbeck. She married Harold Karstensen on September 10, 1949 at St. John Lutheran Church in Beecher. She is survived by her husband, children Darceta (late Russell) Mueller, Richard (Marsha) Karstensen and Jayne Biesterfeld as well as her sister Carol R. Meyer. Her grandchildren, Rachel (Carl) Bormet, Kirsten (Robert) Bishir, Nicholas (Emily) Karstensen, John (Kristy) Mueller, Jennifer (Jason) Reynolds, Sarah (Matthew) Goulding, and Daniel Biesterfeld, great grandchildren Carl, Paul, Jacob, Hannah, Henrik, Luke, Greta, Miles, Jamison and Arabella, as well as many nieces and nephews. She is preceded in death by her parents, as well as her brothers and sisters-in-law Roy, Vernon (Dorothy), Homer (Ruth) and John L. Storbeck (Shirley, Karen), and brother-in-law Raymond R. Meyer. Ferne was a member of St. John Lutheran Church, St. John’s Altar Guild and a member of the Lutheran Womens Missionary League. She also worked at Wehling Well Works in Beecher, where they had good caramel candies for all of her grandchildren, and also Warren Insurance in Steger, IL for many years. She was an avid reader and Cubs fan, enjoyed spending time with her family and made the best cream and pecan pies ever. She also bragged about her 1928 Harold. Burial will be at St. John Lutheran Cemetery in Beecher. Rev. Joel Dietrich will officiate. Visitation will be held Monday December 10, 2018 from 4-8:00 p.m. at Hack Funeral Home in Beecher. Funeral services will be conducted at 11 a.m. on Tuesday December 11, 2018 at St. John Lutheran Church. Burial will be held at St. John Lutheran Cemetery. In lieu of flowers, memorials may be directed to St. John Lutheran Church Parking Lot Fund and The Lutheran Hour.